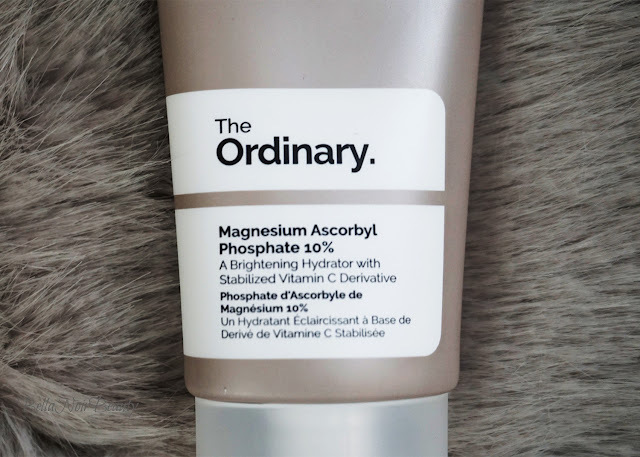 I honestly can't believe how much The Ordinary Magnesium Ascorbyl Phosphate 10% surprised me. I turned my nose up at it the entire time I had it and it wasn't until I eyed the before and after photos did I come to appreciate it. The Ordinary describes it as "a brightening hydrator with stabilized Vitamin C derivative." I bought this cream as a replacement to the Vitamin C Suspension from the brand (reviewed here) to help fade my acne scars. I squeeze a dime-sized amount of the cream in my hand and pat it on my cheeks, and where ever else I have PIH using my fingers. I don't rub it in right away, but rather let it soak into my skin on its own. It takes about 5 minutes before I no longer see the cream on my face. I must admit that I am not one of those people that wait for long periods of time for acids to soak in before I move on to the next step of my regimen; I just don't usually have that kind of time. 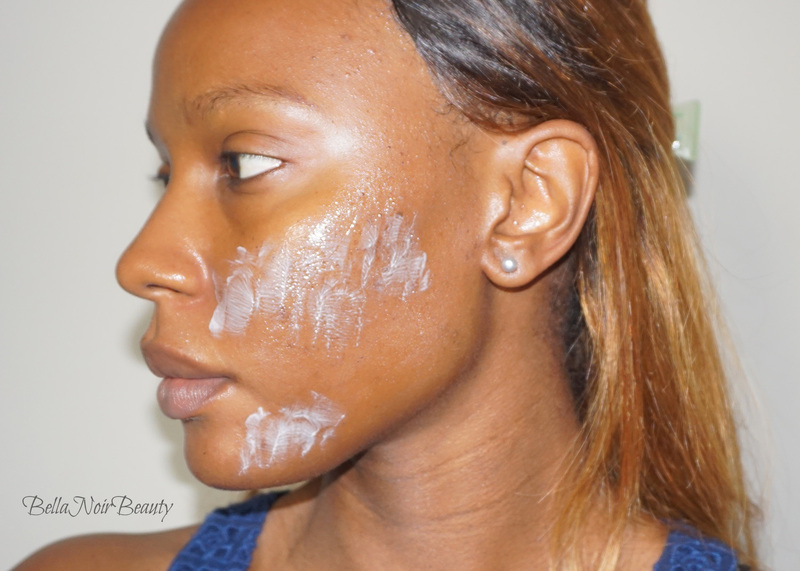 This cream is generally the last step before moisturizer. It's only lightly moisturizing and does not substitute for a proper moisturizer, in my opinion. Amore Pacific Treatment Enzyme Peel: it's a powder cleanser that's emulsifies with water; definitely provided mild physical exfoliation. This was one of the two products I had left to use from my Soko to Tokyo set I got from Sephora. I followed up with the Skin Inc Pure Revival Peel from the same set. It's one of those peeling gels that claim to get rid of dead skin. I am really suspicious of products that make these claims (I feel like they are just product build-up), but after washing off, my skin did feel much smoother. 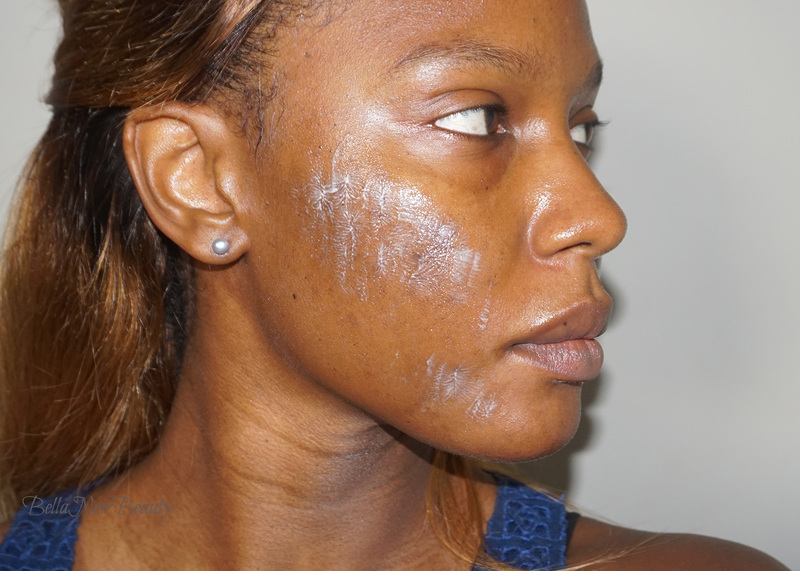 For chemical exfoliation, I used my beloved Ren Glycolactic Radiance Renewal Mask. 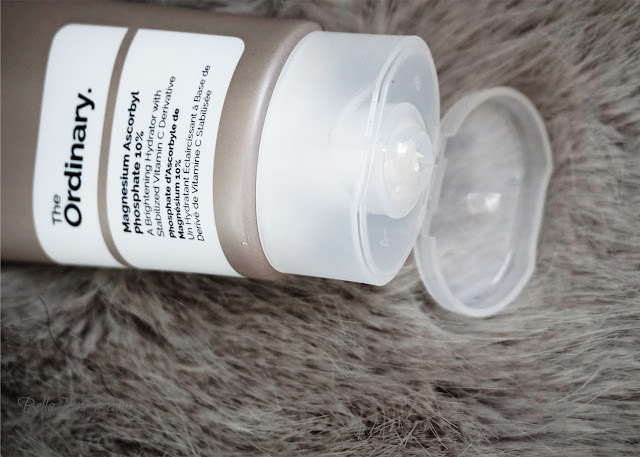 Everything else that followed didn't have any exfoliating properties with the exception of a sample of Mario Badescu's Glycolic Eye Cream, which I ended up using all over my face because it was so rich and I underestimated the amount I needed for my eye area. It's actually a nice feeling cream and I am considering purchasing it, although I doubt there's enough glycolic acid in the cream to make a difference on my face. 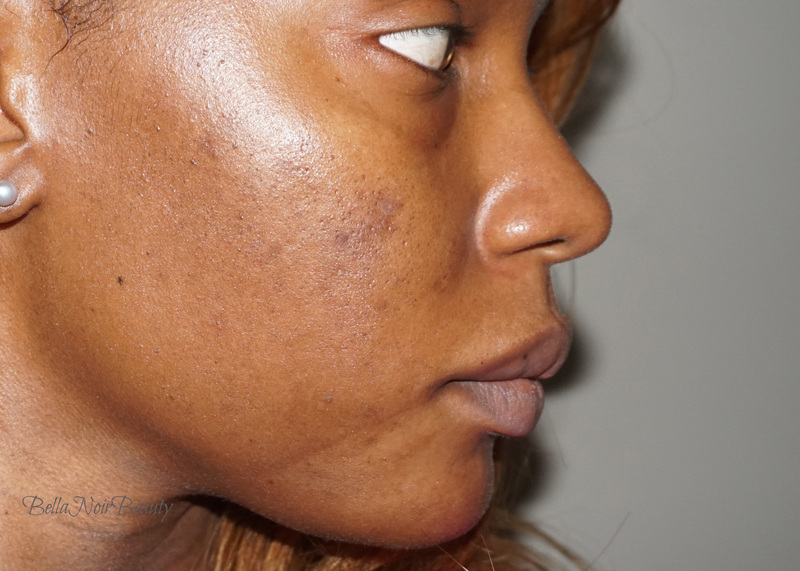 I am only mentioning this because exfoliation helps with fading acne scars and I wanted to disclose this facial because it was a long, luxurious process that may have had some affect on the results. I started using this months ago, but got bored of it. I have only started using it consistently within the last month. I like how easy it is to use; if you recall, I had a hard time fitting the Vitamin C Suspension into the right place in my regimen because it made everything pill. Not so with this! The packaging sure is an upgrade from the first go-round of the Vitamin C Suspension. What surprised me about this cream is that the entire time I used it, I kept thinking I didn't see any change in my skin or my scars; I thought it did absolutely nothing. I skimmed a few reviews of many people that said the same thing. Well, I encourage you to take before and after photos. While my changes aren't dramatic, I can appreciate subtle changes in my skin especially in a short period of time. I've only been using the cream consistently for almost four weeks and I already see signs of improvement. The before photo was taken at the cusp of me getting rid of those zits. The healing process is the worst for me, before the active acne starts fading. 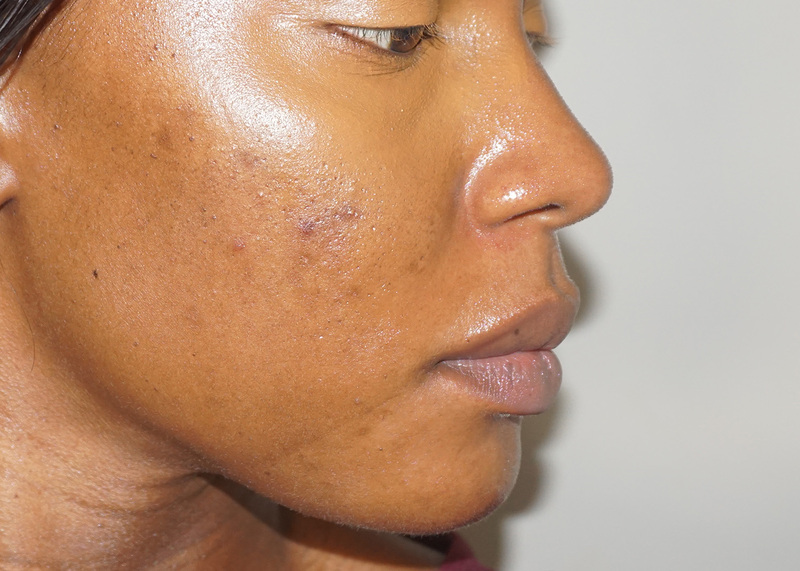 If my skin behaves cyclically like the rest of my body, then I predict I will have some hormonal acne by next week. It appears to have silicones in it, which some people might turn their nose up at. I don't mind silcones so much because (1) I like the way they make my face feel, (2) I put so many products (without silicones) on my face sometimes, it's hard for me to believe the amount of silicones in one product is so large, it would prevent penetration of the skin. I also have oily skin so there's that. If I really wanted to put so much thought into it, I would make sure my serums and essences do not contain silicones and if my moisturizer does, it's ok. Lastly, (3) I double cleanse 99% of the time! In addition to silicones being an issue for some, I didn't prefer the smell of this cream. Just like the Vitamin C Suspension, it smells plasticky to me. A few days ago I couldn't wait to finish up this tube. After seeing the results up close and personal, I'm having second thoughts. It still doesn't bring me much joy to use, but the overall results surprised me.